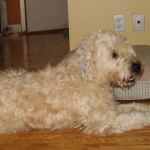 Milly is a 9 month Wheaten Terrier whose family contacted me for dog training in Ridgefield CT. She is the quintessential family dog – happy, friendly, and loves to be with her family. On the flipside, she has a lot of puppy energy, a tendency to counter surf (steal items off the counter), exuberantly jumps on everyone, and does not listen to her owners commands. For those reasons, her family contacted me for Dog Training in Ridgefield CT.
Our first step in helping Milly and her family is to teach her how to properly walk on a leash. A structured walk consists of Milly walking comfortably at her owner’s side, with no pulling and lunging. In conjunction with that, we are teaching her how to play structured games of Tug and Fetch. These will provide productive outlets for her mental and physical stimulation. Many unwanted behavior issues that plague owners stem from pent up energy. The next aspect of Milly’s training is to take her through my beginner, intermediate and advanced obedience training program. Through my experience of training hundreds of family dogs, I have distilled my system down to a simple and clear obedience program that can help any family have a reliably obedient dog, regardless of the dog’s breed, age or size. By addressing the root causes (pent up energy and a lack of obedience training), we were able to solve Milly’s owners stress and struggles through my dog training in Ridgefield CT program. Here is my first training session with Meena, a young Saint Bernard Puppy. She is an exceptionally smart, happy, and friendly girl. As part of my Puppy Training Program, we are focusing on housebreaking and Beginner Obedience Training. She is excelling already! 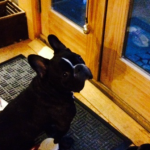 Rocco is a friendly four year old French Bulldog with a major stubborn streak. Rocco’s owner was looking for dog training in Ridgefield CT, and enlisted my help with obedience training and behavior modification. 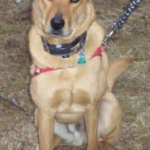 Rocco was a “clean slate”, as he had no background or understanding of obedience commands prior to our training. He would jump on guests that entered the home, chase squirrels, and annoy the household cat. Our initial goal was to teach Rocco his obedience commands and get him to the point of off-leash reliability. Whether I am conducting obedience training or dog training in Ridgefield CT (and anywhere else where it is a heavily wooded area), the recall (“Come”) command is paramount. I feel it is essential that every dog reliably come when called, regardless of what distractions are present. This not only makes life easier and less stressful for you the owner, but it will help keep your dog safe. A rock solid recall is one of the 5 Obedience Training Commands to Make Your Life Easier. Once we established reliability with obedience commands and Rocco understood what we are asking of him, we were able to move onto addressing his behavior issues. It is important to have a clear communication system between dog and owner (via off-leash obedience commands), so we can clearly teach the dog that jumping on guests, chasing squirrels, and annoying the household cat is not something we want them to do. If you are using proven methods of dog training, you can successfully train any dog – regardless of breed, age, size, current obedience level, or behavior issue, etc. Even if you’re not looking for obedience training or dog training in Ridgefield CT, make sure you use a simple and clear system of dog training that is easy for you to use and your dog to understand. This is the key to “Changing the World for Dogs”. Hamlet’s owner was frustrated and perplexed with his major issue of digging holes in the yard. He dug numerous large holes all over the yard. Prior to calling me for dog training in Ridgefield CT, his owners tried every conceivable option possible to curb his tendency to dig holes….but none worked. I get calls every day from owners who have “tried everything” and still have not achieved the success they want. Dog training tips and tricks won’t solve anything, but a proven and logical dog training system will. It is truly possible to teach obedience commands to any dog. Regardless of your dog’s age, breed, or size, I can help you to get your dog to listen. The first step in any successful dog training program is to determine the underlying cause of the behavior issue. Once I determined the root cause (no pun intended) of Hamlet’s hole digging problem, we created a custom training plan. It is essential to address the source of a problem, rather than simply attacking the symptoms. Solving dog training problems and having an obedient dog is not a magical or mystical skill/technique – it just requires the right dog training system. With a safe, simple, and effective system, you can practice dog training in Ridgefield CT or anywhere else in the world. Having a happy and healthy relationship with your dog is within everyone’s reach. 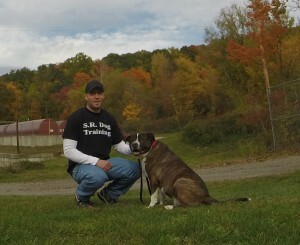 Client Update: Here is a text message I received from my new dog training in Ridgefield CT client. When we met earlier in the day, they were struggling with their dog being aggressive at the Vet. So much so, that the Vet required he wear a muzzle in order to be examined and to give vaccinations.